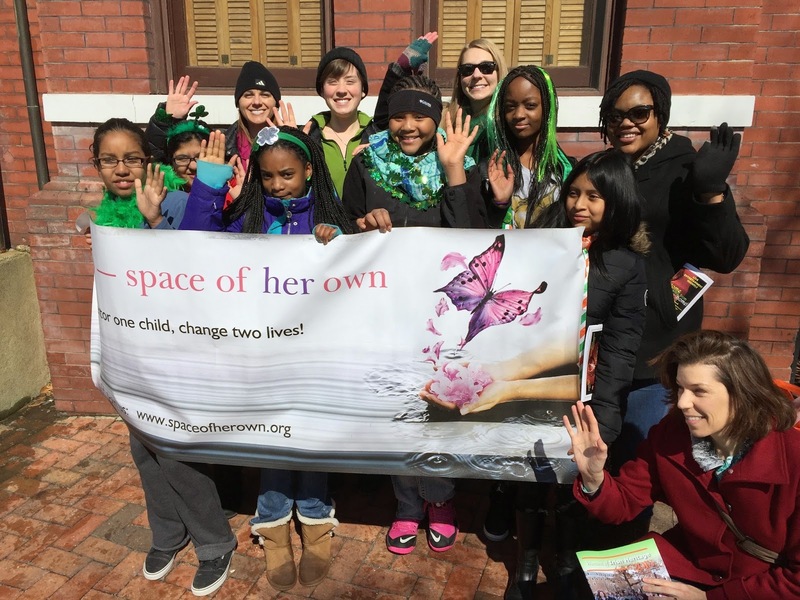 Creative mentoring programs Space of Her Own and Space of His Own are seeking mentors for the 2015-2016 school year, beginning next September. SOHO serves 5th-grade vulnerable youth in Alexandria and Arlington, pairing compassionate and resourceful men and women with program participants. More than a role model, and more than a friend, a SOHO mentor supports and guides youth to success. SOHO-Space of His Own mentors and youth meet weekly in a group setting to enjoy dinner together and work on an arts-based or carpentry project. Each mentor is paired one-on-one with a child as they paint self-portraits, build shelves, make clay lamp bases, and much more. Mentors and mentees also participate in a series of team-building exercises to help develop the SOHO community. The girl’s program, partnered with the Art League, has a visual arts-based focus, whereas the boy’s program focuses on carpentry. At the culmination of the year, mentors pair up to renovate each youth’s bedroom or space using all of the projects that they've created together. Mentors commit to attending the program one night a week from 5:30 to 8:00 pm at one of our Alexandria or Arlington locations. The girl’s programs are on Tuesdays and Thursday nights, and the night for the boy’s program is TBD. If you are hardworking, dedicated, and eager to help a child in need, we want to hear from you! For more information on how to become a SOHO mentor, please contact Haley Bader at haley@spaceofherown.org or call 703-746-4687. Visit www.spaceofherown.org and www.spaceofhisown.org to learn more.